Review: "Tetrafusion: Absolute Zero" - Sea of Tranquility - The Web Destination for Progressive Music! Absolute Zero is a concept album based on cosmology, along with the associated theorems and laws behind it. The album depicts the life of the universe from beginning to end via the form of instrumental music. Along with this, each of the eight songs on this disc, some of which are divided into multiple movements, is explained in great detail. Starting with the 10-plus-minute "The Beginning," the album takes on a fusion of fluid, articulate guitar and keyboard parts built around a bass-centric drive. A perfect choice to represent the overall vibe of the album, the song weaves crushingly heavy passages and atmospherically dense sections with subtle changes in tempo and melody. Both bass and guitar solos abound, where the guitars take on a liquidy flow during the solo passages. The use of cello and piano on "Dark Matter" helps establish a more laidback yet emotionally engaging context while the transition from the soft acoustic passages to the fierce, head-spinningly agile guitar work on "Energy" contributes to the diversity of Absolute Zero. Of particular note is track four, "Gravity." It starts off with a gorgeous piano motif that eventually takes on a jazzy feel. It is informed by constantly ascending and descending melodic patterns. According to the information given in the booklet, the acceleration of gravity is 9.8 metres per second, which is symbolized by the song's opening riff in the 9/8 time signature. From here on, each section sees the band morphing the melodic drive, constantly dropping one beat with the arrival of a curious Latin breakdown and shifting to 4/4 or 8/8 rhythms, and then to 7/8, losing yet another beat. It sounds very mathematical perhaps, but unlike many instrumental prog bands, Tetrafusion's songs are absolutely listenable and painstakingly well composed. The aptly titled album finale, "The End," is equally complex if not the highlight of the whole album. At over 15 minutes, it is the song that depicts the inevitable fall of the universe. Alternating between passages filled with symphonies of riffs and piano-supported melodic interludes, the song turns into the soundtrack of the apocalypse. The first movement, "Expansion," sees the quartet building (expanding) the melodies from a time signature standpoint while the second movement, "The Big Freeze," depicts mankind's reaction to this catostrophe. Without doubt, the last movement, "Absolute Zero," functions as a summary of the album, or the life of the universe in this case, and gets particularly emotional during the piano-driven medley to "resurrect" its former phases. If the wailing guitar solo at the end doesn't devastate you, then you're not breathing. 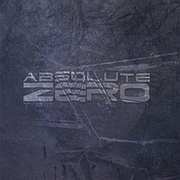 Overall, Absolute Zero is highly recommended, especially to fans of instrumental progressive music. This is so far the only instrumental disc I've liked from start to finish this year. I just wanted to say how awesome this band is. I usually don't listen to, or really like prog rock, but this CD completely blew me away. The complexity of the music is insanly intriguing. Definitely worth listening to, no matter what your favorite type of music is.